Just in time for the holidays, one of Austin’s favorite jewelry designers, Kendra Scott, is giving her fans something new to lust after: jewelry for the home. Scott’s new home collection, which launched November 30, features 26 luxury interior pieces that combine the designer's love for gemstones with her passion for interiors. 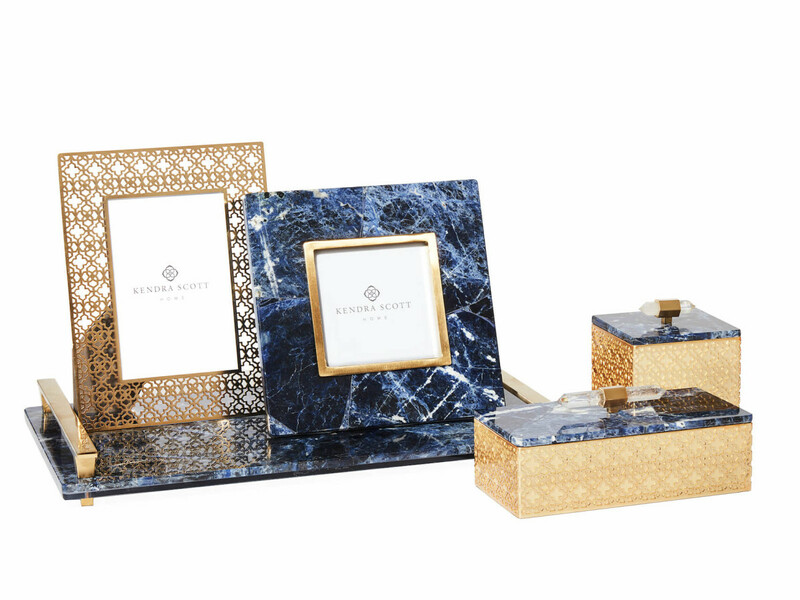 Five stones — blue sodalite, tan banded agate, chevron amethyst, green banded agate, and gray labradorite — are featured in the collection through a range of styles, like photo frames, trays, and decorative boxes. Kendra Scott has become known for reasonable pricing, and the home collection starts at $65 for a filigree photo frame in rose gold. A stone tray, perfect for an ottoman or in your master bath, runs $495. You can find the new collection online and in any of Scott’s 50 stores, including three in Austin.